The big news in Australia this week has been the hilariously incompetent attempts by the Liberal government, sorry, make that the “Turnbull Team”, to pass amendments to the 18c Racial Discrimination Act. As reported in The Australian, the Liberals are merely attempting to change around the wording. The government is proposing to reform section 18C by making it unlawful to “harass” or “intimidate” someone on the basis of their race, colour, national or ethnic origin and is pushing for procedural changes at the Australian Human Rights Commission. Currently, 18C makes it unlawful to “offend,” “insult” or “humiliate” an individual because of their race. Hands up who thinks that the definition of the words “harass” and “intimidate” will be cannon fodder for the legions of human rights lawyers waiting expectantly in the wings? Friday hawt links – The one for the nerds edition. It’s been a good week here on the old blog. Good viewing numbers, good book sales, (thanks guys – don’t forget to leave a review), and all of it culminating in the steady growth in month on month viewing numbers. Not to forget all of the good comments. So lots of goodness all round. This week’s link-fest has morphed into a bit of a nerd ensemble. But I am a bit of a nerd at heart, what with my Dungeons & Dragons playing, video games, endless book reading, Advanced Squad Leader goodness, (the best tabletop game of all time), and my collection of cardigans. I tell you, cardigans are the best knitwear ever. How nerdy is that? Anyway, enough of the rambles, and on with the show. The face of gay militancy. Let’s make one thing clear of what I think of gay rights activist Michael Barnett. He is a bullying totalitarian little thug on a power trip, and those are his positive qualities. 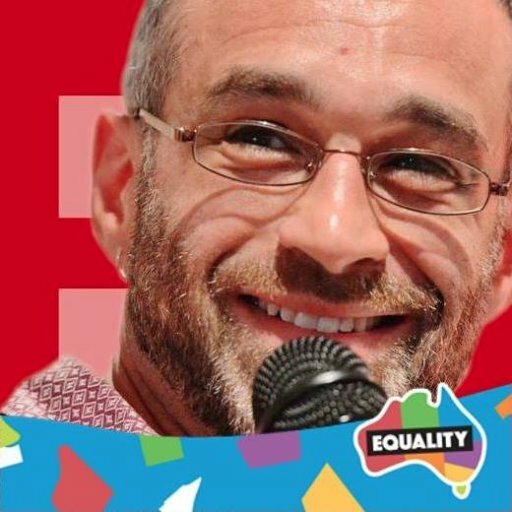 Fresh from his victory over making Coopers brewery grovel in public before the altar of gay militancy, he is now going after Christian charities via their public board members. Did I say public? Silly me. Christians need to cower behind closed doors these days from those poor put-upon homosexuals. You know, the ones who just wanted to be free to love each other and have the equalities? The Australian Charities and Not-for-profits Commission yesterday agreed to keep the boards of the Lachlan Macquarie Institute and the Australian Christian Lobby off the public record ­because publication “could ­endanger public safety”. Podcast #42 – The hairdressing episode. The one where my regular manly gay hairdresser is injured and I have to get my hair cut by a woman. It was all going okay until I brought up the subject of duck shooting. The three essential red pill journeys. A decade ago I described myself not just as an atheist, but as an anti-theist. I was vehemently opposed to all religions. A few days after I got married, my new wife and I headed to Venice for a couple of days together with my best man who had flown over from Australia for the wedding. At one point we stopped outside a rather nondescript church and my two companions went in to have a look. I remained outside. I could not even bring myself to enter the building, such was my aversion to all things religious. To be awakened to the world around you and to see its true nature is described as being “red pilled”, a reference to The Matrix film. But unlike the film you cannot be red pilled by someone else. The process only works if you do it yourself. Rollo Tomassi has outlined the 5 stages of unplugging. The steps in order are; denial, anger, bargaining, depression, and acceptance.